Goose Hollow originally got its name in the late 1800s, when geese owned by some neighborhood residents would freely roam the area. 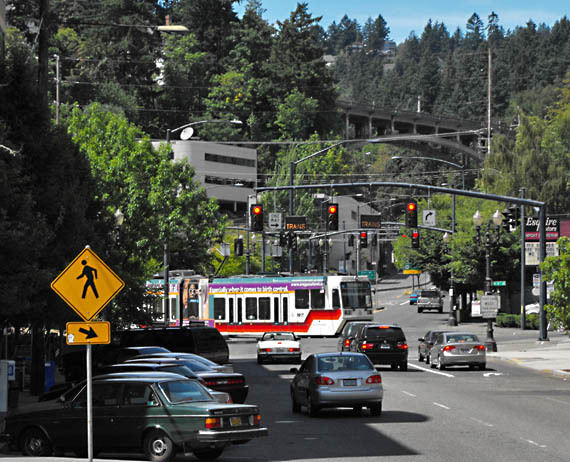 Now it's a very close-in neighborhood, bordering downtown and Washington Park, and is home to Providence Park, where the Portland Timbers major league soccer team play. Goose Hollow is known for a mix of architectural styles, from modern apartment buildings to majestic old Portland foursquare homes. The Goose Hollow Foothills League helps keep residents and business owners informed about and involved in the area. To view the listings on their own page, click this link: Homes for sale in Goose Hollow.